The Hornby students, their families, school staff, members of the community, and island guests have created the Exhibit by donating found specimens and by helping to raise the money to have them preserved for display. It all began with a horned owl and glaucous-winged gull in the nineteen eighties. With the arrival of the beaver in the early nineties, the Exhibit began in earnest to grow to the forty plus taxidermy specimens and other natural history artifacts and fossils. Until 2005 these specimens were either displayed in the school library or stored in boxes. Then the dream to share these natural treasures with the general public became a reality, gradually over time becoming the Natural History Centre now located in a room of its own. 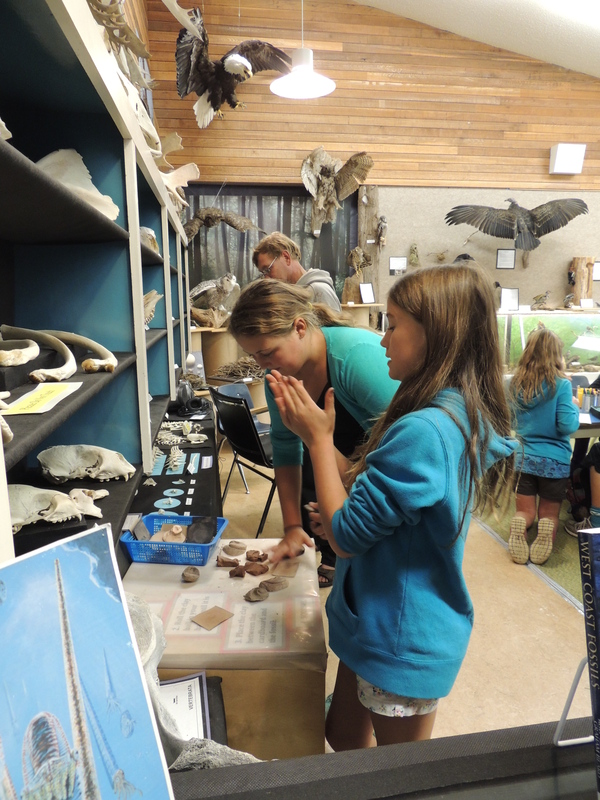 You will find the following displays in the Exhibit: Forest and Mineral, Fossil and Bone, Insect, Raptor and Small Birds, Beaver, Shell Catalogue, Tidal Creatures, Herring Life Cycle, and Shell Midden. The most recently developed displays are the Herring Cycle and the Shell Midden. Our new turkey vulture has also been popular and thought provoking addition. 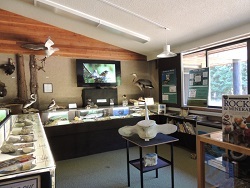 Most of our specimens are local to Hornby Island, but we also have an exotics display area. Our policy is to only accept animals who died from natural causes. We hope you enjoy this opportunity to see some of these creatures with whom we share our island that reflect the biodiversity of Hornby Island. Spotted at the Centre – Art from our Visitors! We have tables where you can study or sketch. Below is some inspiration from visitors. Artist Spotlight: Local artist and master potter Wayne Ngan spent time painting, in classic Chinese brush style, some of the creatures in the exhibit. In conjunction, he offered a painting demonstration to the students and kindly donated some of the pieces for fundraising.